My Dutch Grandmother was sweet enough to leave me this hutch when she passed away. She knew how much I loved it. It is fun to have it in my kitchen and remember her often. Jen Rizzo is having a Fall hutch party. 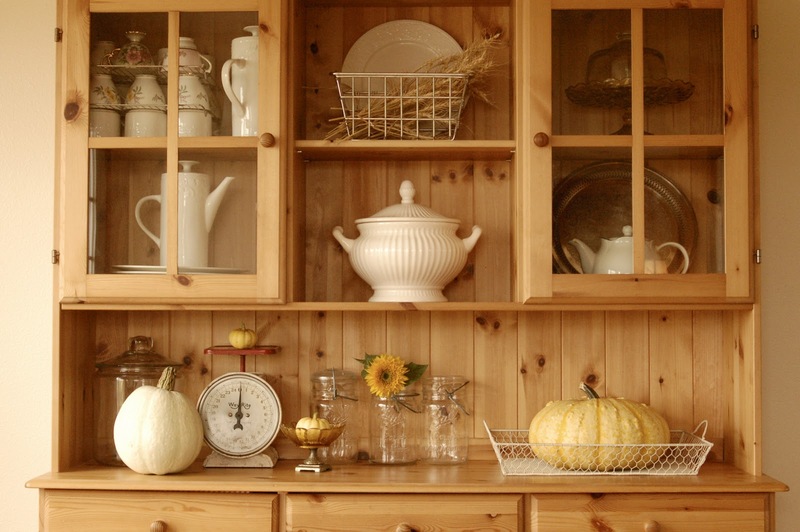 So,here are a few pictures of my kitchen hutch. I collect white dinner pieces. All of my dishes are mismatched ironstone. If one chips or breaks, I just replace it with a tag sale find. The soup tureen was a great purchase this summer. I grew wheat in the garden this year...it just says "Fall!" 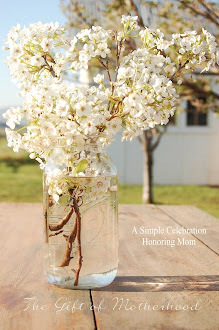 The jars were my Great Grandma Hazel's. 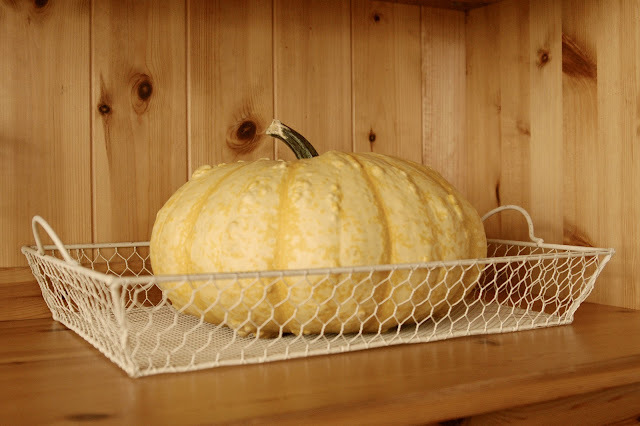 Pop on over to Jennifer Rizzo's hutch party for some wonderful ideas!! It is all beautiful but my favorite thing is the wheat (I grew up in Kansas so wheat is part of my heritage) and the nubby white pumpkin. GORGEOUS!! I love it, Julia! 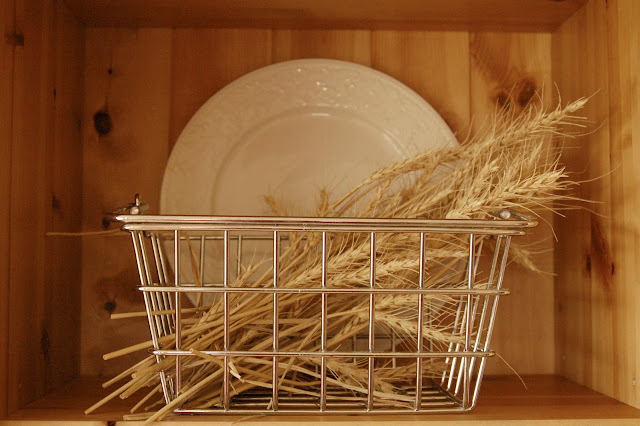 How fun to grow wheat for decorating in the fall - good idea! I just picked up a scale like yours at a little antique shop - saw it in the window and got honked at because I was too busy staring at it to realize other cars were waiting at the stop sign. :) Now I know what to do with it - put a pumpkin on it! I have white dinnerware displayed, too - love your tureen! I love the white dishes! White just seems classic to me...not trendy, it will never go out of style. It's just clean and beautiful. Everything on your hutch is really beautifully put together. I love it! Looks so fresh and clean...and homey. Gorgeous! I love it! 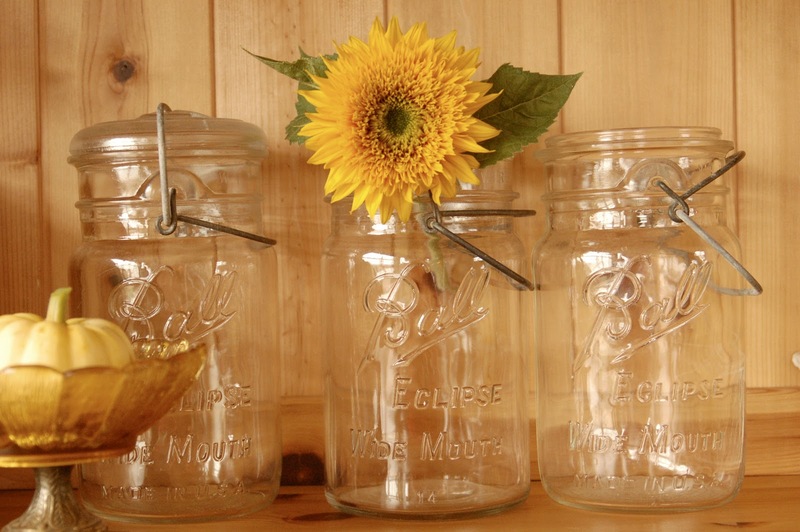 And I love those Ball jars, too! 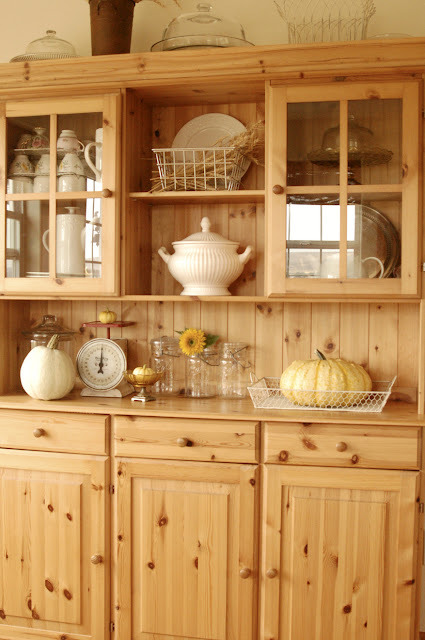 I LOVE LOVE LOVE that wood cabinet! White dishes, love that diea too!